The second step in waste characterization is analysis design and planning. A sample is a subset of a population that represents the results of whole population. It is necessary to take the sample of waste because it is no possible to analyze the whole population. Stratified random samples must be used as much as possible. Relevant sources of waste must be sampled from any selected strata. For Example waste bins are able to be sampled from selected strata. The number and kind of strata to be used depends on many factors: waste management information, sufficient resources, need of municipality and availability of sufficient waste planning data. Maximum five strata could be used. Above than 5 strata's could lead to requiring more sampling from waste to achieve accuracy in results. More sampling would be time requiring so it is preferred to take 5 strata's not more than this. It is more helpful to make a stratification matrix at initial planning stage that provides the necessary data and information for stratification. It is recommended to use external waste bins outside households and business. Sample level must fulfill the statistical requirement. It is recommended to use volume of waste bin but it is noted that it does not mean the volume of waste within the bin. 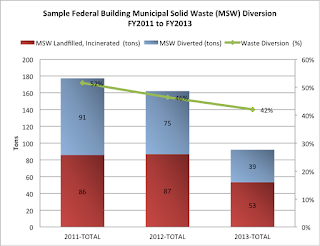 Municipal waste collection should be done on weekly or daily basis. It is recommended that waste sampling must cover a week waste e.g. sampling from Monday to Friday covers a full collection cycle and variation due to non collecting waste at weekends .